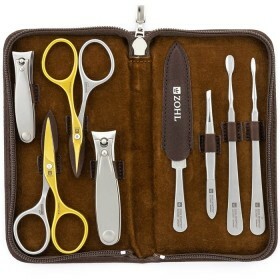 Surgical stainless steel, long lasting sharpness and advanced design makes the Magneto by ZOHL the best manicure set for anyone's nail care regimen. Crafted by hand in Solingen (Germany) - the motherland of the world's finest cutlery, the nail instruments delight with clean and easy trimming for many years ahead without any need of sharpening. 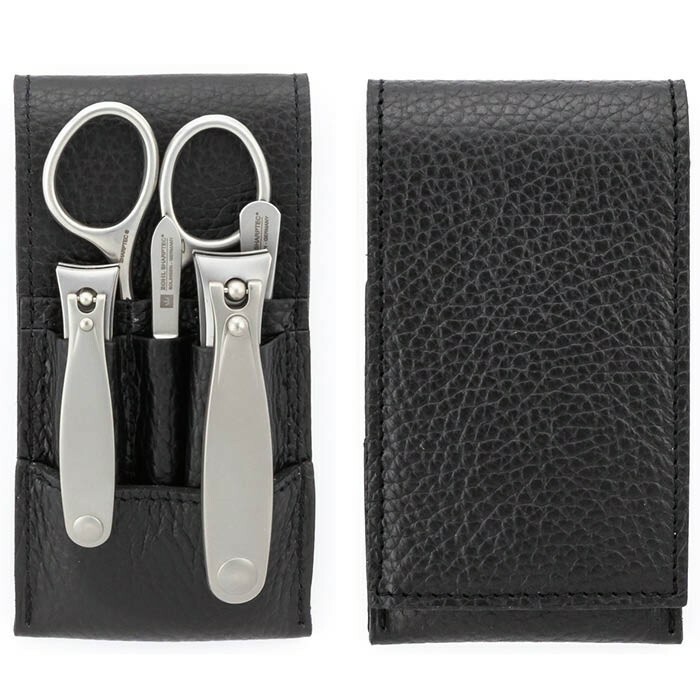 Enjoy your manicure and pedicure with the highest quality nail clippers, professional nail scissors and nail file, leaving the unwanted bodily hairs to the world's best eyebrow tweezers included in the set. 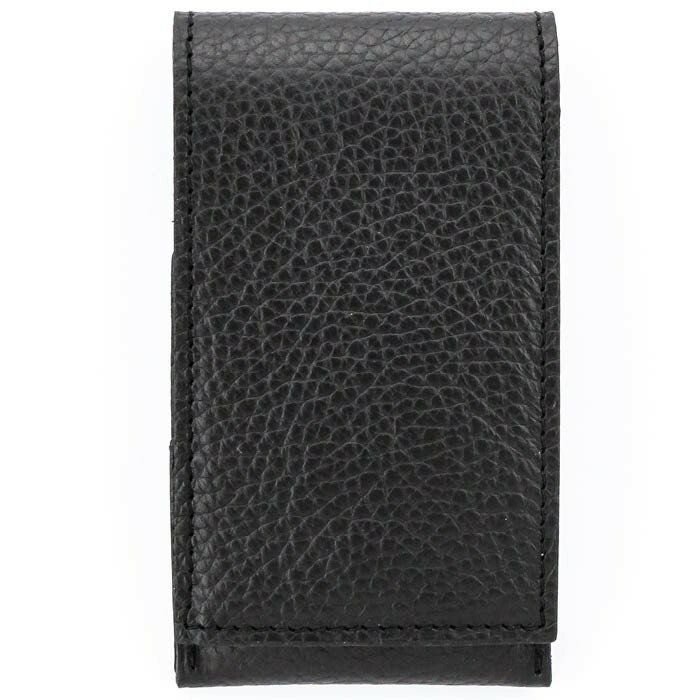 Luxury presentation in the black leather case made of pebble cowhide, highlights long lasting durability of the nail tools and reliably protects them from dirt and damage. 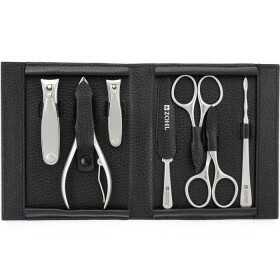 Ideal gift set for Christmas, Birthday, and Mother's or Father's Day. 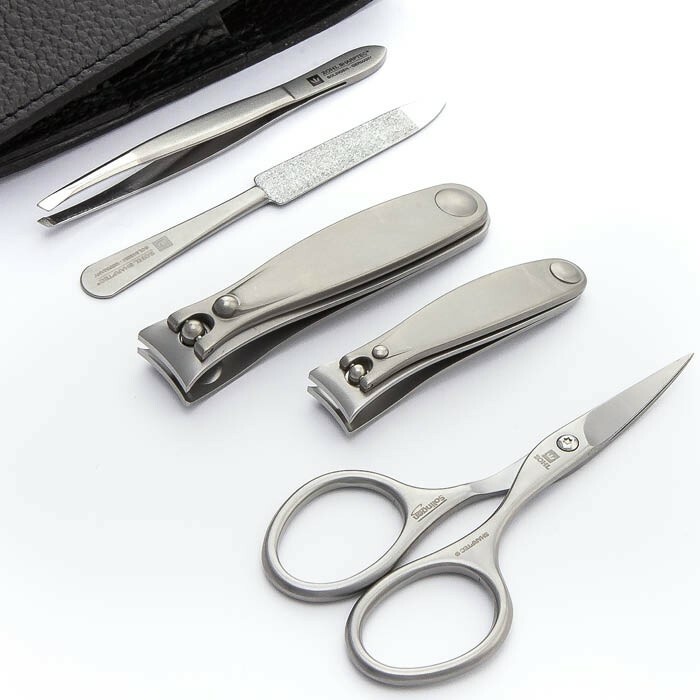 The Magneto nail kit is a collection of professional manicure and pedicure tools made in Solingen, Germany to give you decades' long service. Solingen has been the capital of the best knives, blades and nail care instruments for over 600 years, and its know how of creating long lasting sharpness is carefully protected by the German Government. 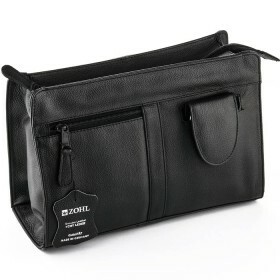 Only a handful of brands are entitled to carry the label QUALITAT. Made in Solingen. And the Magneto is a proudly Solingen manicure set, that blends the best Solingen engineering and innovation to make your nail care a pleasant core without any need of re-sharpening for a long time. 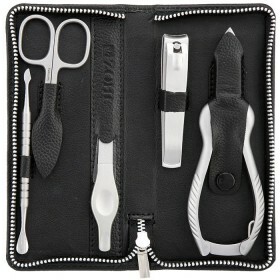 The manicure set includes 5 SHARPtec nail instruments and is ideal nail kit for manicure and pedicure. The tools are made of strong stainless steel DIN 1.4034 approved in surgical instruments and hardened in a special way, to keep the blades sharp for many years. 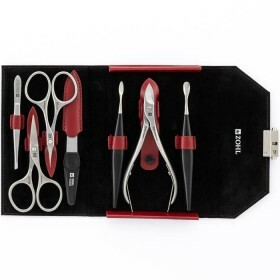 Expect smooth and easy nail trimming and forget about frequent replacement of irresponsibly made nail cutters that go dull after a few uses. The instruments in the Magneto manicure set have passed strict quality control at the Solingen workshop before making your way, so you can trust they won't disappoint. 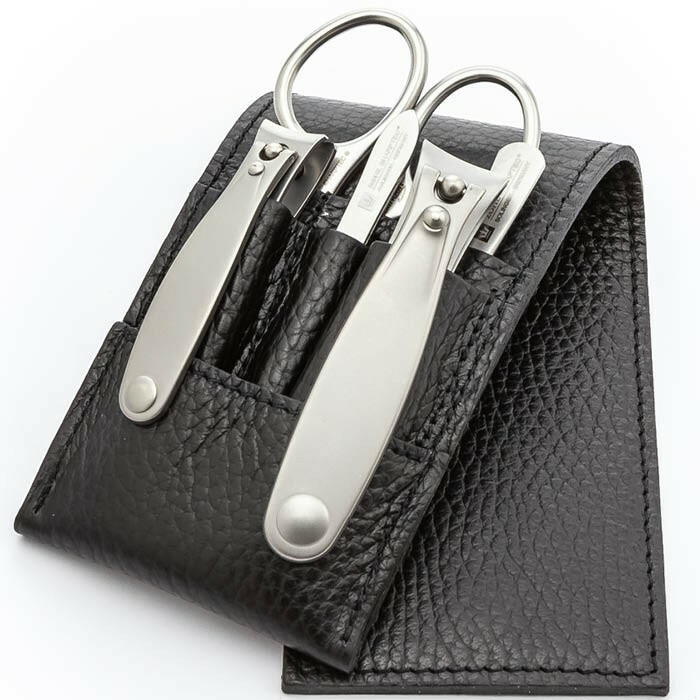 Fingernail Clippers (6cm) with advanced design and maximum stability in the hand, these Solingen nail clippers are the best ever clippers, according to our customers. 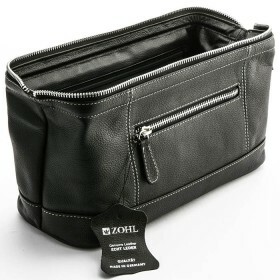 Luxury black leather case beautifully nestles all nail tools in individual pockets, protecting them from dirt and damage. 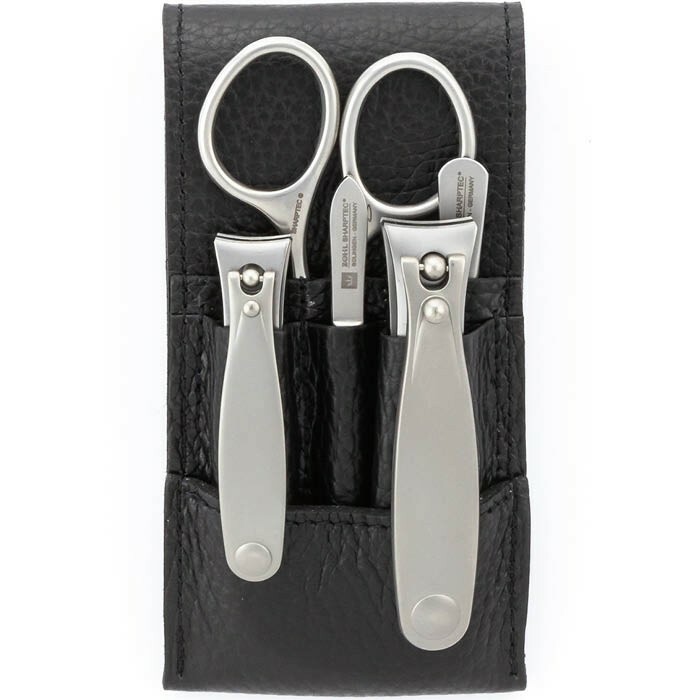 Sturdy magnetic closure perfectly secures them for easy transport and makes the Magneto manicure set a gift of distinction for the person who trusts their nails to the best manicure and pedicure tools.